Manufacturer: UPS Battery Center Ltd.® is the exclusive manufacturer and seller. 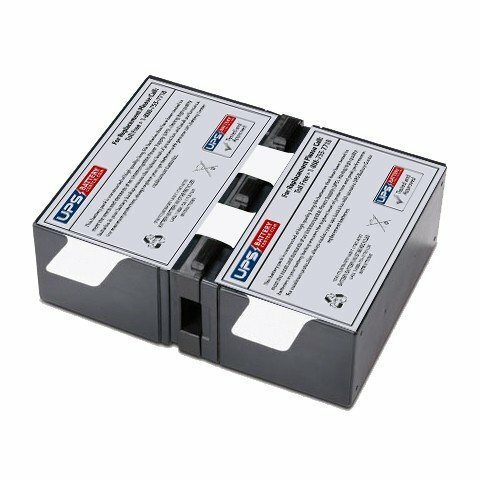 The BX1300G-CA battery pack is covered by our industry leading 1 year replacement warranty. The battery pack for the BX1300G-CA is complete, no assembly of the battery pack is required. APC® is a registered trademark of Schneider Electric IT Corporation. UPSBatteryCenter® is not affiliated with, endorsed by, or authorised by Schneider Electric IT Corporation. In-Stock and Ready for Immediate Shipment - 1 Year Warranty included!